Note: The following occurrences are from the final few years of H.P. Blavatsky’s life, when she was living in London, England. “The discussions were informal and all sat around and asked questions of Mme. Blavatsky. . . . One part of our delight was for Mme. Blavatsky to reply by the Socratic method – ask another question and seek information on her own account. It was a very effective method and frequently confounded the setter of the conundrum. If it was a genuine search for information which dictated the question, she would spare no pains to give all information in her power. But if the matter was put forward to annoy her or puzzle, the business resulted badly for the questioner. The meetings took up a lot of time, but Mme. 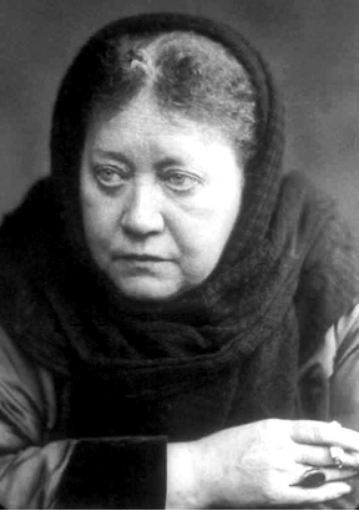 Blavatsky enjoyed the contest of wits. At this point, patience must have been wearing thin. SOME RELATED ARTICLES: Who are you, Madame Blavatsky?, The Masters and Madame Blavatsky, Words from The Masters about H.P. Blavatsky, Praise for H.P. Blavatsky and Theosophy, Responding to Lies about H.P. Blavatsky, Meeting Madame Blavatsky, Blavatsky defeats an Atheist, A Film about H.P. Blavatsky, Gandhi on Blavatsky and Theosophy, Theosophy: The Ancient Wisdom, 12 Things Theosophy Teaches, An Invitation to The Secret Doctrine, Who wrote The Secret Doctrine?, The Closing Cycle, The Fake Photo, Photos and Pictures of The Masters of Wisdom, The Theosophical Society is Disloyal to Theosophy, and How to successfully study the Teachings of H.P. Blavatsky. When Blavatsky was being asked about the importance in necessity in the study of Theosophy, She replied simply; Common sense. I think this means that Theosophical philosophy/ Reasoning of all religions and traditions of world people. A. Keightley and his niece helped and supported to HPB in Theosophical movement. They bring Gandhi to HPB in London.